Sure, your Android phone can call and text, and a phone or tablet works well for surfing the Web, checking news headlines and weather, posting to social media and typing emails. 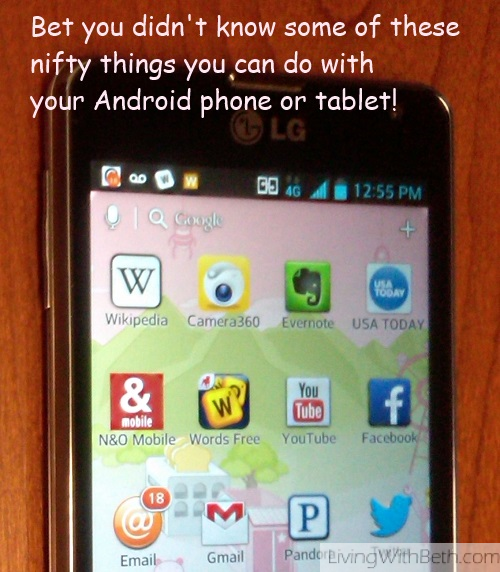 Here are a few awesome Android tips you might not already know about. 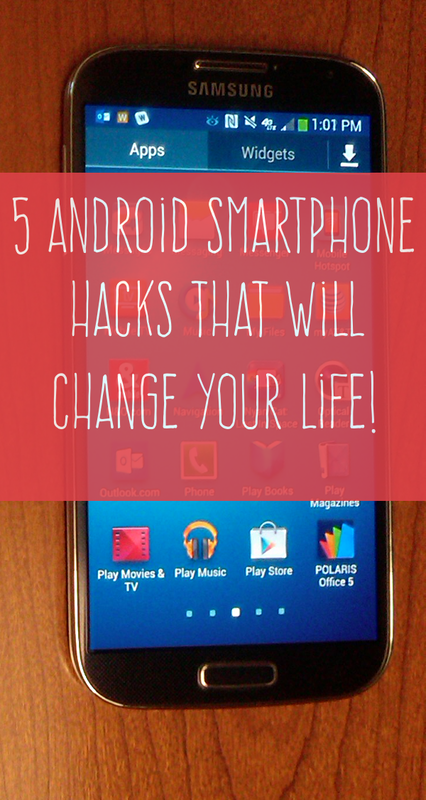 Check out this article for 5 things you should do when you get a new smartphone. Unless you have a pretty old Android phone, you should be able to take a screenshot – a picture of what’s on your screen – by holding the power and volume down buttons at the same time for a couple of seconds. You should see a brief flash so you can tell that the screen capture succeeded. You can then find the captured photo in your phone or tablet’s Gallery under the Captured Images folder. On more recent Samsung devices (such as the Galaxy S series), you can swipe your hand from side to side to take a screenshot. Android versions 4.4 KitKat and above let you set up Cloud Print so you can print documents directly from your Android phone or tablet – no separate app required. Some newer printers come with built-in compatibility with Cloud Print. For other printers, you need to login to Google Chrome on a computer that connects (either locally or over a network) to the printer you want to use on the Android mobile device. Next, click the gear icon on Chrome (in the upper right corner), then select Settings, Advanced Settings, and choose the option to set up Cloud Print. 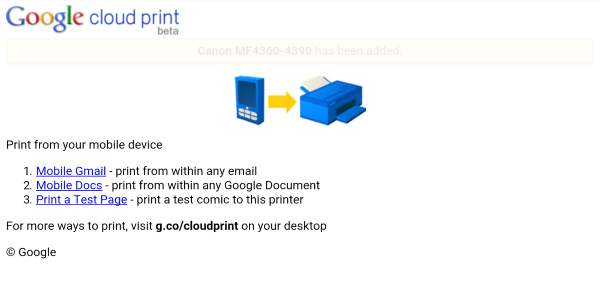 You’ll need to choose the printer to set up and click Share, to make the printer available through Google Cloud Print. Copy and paste the link into an email to yourself, using an account that’s set up on your phone. Bring up the email on your phone and click the link, then select Add Printer, and you should see a confirmation message. Android offers an option for locking or wiping your device if it’s ever lost or stolen, but you must set it up before a loss or theft occurs. Plan ahead and login to Android Device Manager to set up remote lock or wipe now, because you must have the device in your possession for the initial preparation. Still emailing photos and videos to yourself from your tablet or phone? 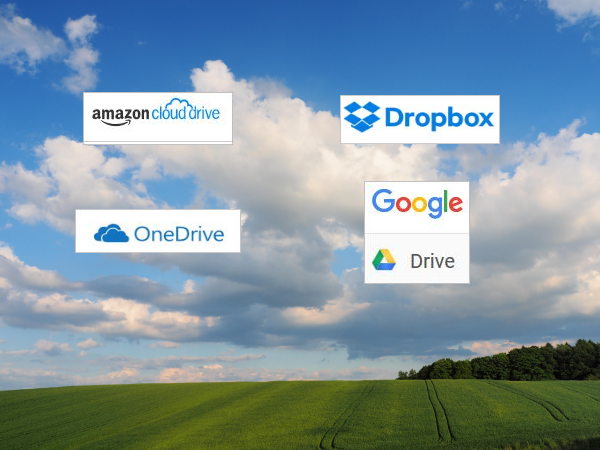 Try a free cloud storage service like Dropbox or Google Drive that’ll automatically sync your media files with your computer and other devices. This way, you won’t lose all of your precious photo and video memories if something bad happens to your phone (such as loss, damage or theft), and you never have to worry about how to transfer files that are too large to email. Dropbox will give you at least 2 GB of free storage, and Google Drive lets you have 15 GB without charge. Both services let you pay for additional space. Google Drive’s free 15 GB of cloud storage includes whatever space you use for your Gmail account, which probably isn’t much. You can pick up some additional Google Drive space on the cheap, or you can upgrade to a G-Suite subscription. G-Suite costs as little as $5 per month and gets you 30 GB of Google Drive space plus access to their professional office software suite for creating and editing documents, presentations and spreadsheets. Plus, you can use your own company’s domain for your email address and a host of other cool perks, including 24×7 support. G-Suite comes with a 14-day completely free trial. Don’t like typing messages on a phone? Try dictating them instead. On your Android keyboard, hit the microphone key to start speaking your text instead of typing it. Your Android phone might also have apps called Voice Commands and Voice Search. With Voice Commands, you tell the phone what to do and how to do it. For example, you might say “Text Fred I’ll be home by 8.” Voice Search lets you conduct a Google search by voice command. Depending on the brand and model of your phone, the device might also let you wake it with your voice and execute commands without ever touching it. Some Android phones even offer a ‘driving mode’ so you can go completely hands-free, speaking your desired commands and having the phone read to you any texts or emails that arrive. This post was originally published in July 2014 and updated in January 2017.